Dell unveiled the Streak--its new pint-sized tablet device which will ostensibly compete against the Apple iPad. A tablet built on Google's Android OS could offer a number of advantages over the iPad--for business professionals in particular. Looking closer at the design and specifications of the Dell Streak, though, leaves me wondering if Dell is clear on what a tablet device is. Isn't the Streak just another Android smartphone? The Android-based Streak sports a display roughly half the size of the Apple iPad. My PCWorld peer Ian Paul listed out the details of the Streak, noting "the Dell Streak will have a 5-inch WVGA touchscreen, Qualcomm's 1-GHz Snapdragon Processor, 2 GB internal storage, maximum 32GB of external SD storage, 5 megapixel camera with LED flash, and a front-facing camera for video chat. The Streak will also have 3G, 802.11b/g Wi-Fi, and Bluetooth 2.1 connectivity." For comparison sake, let's take a look at what another PCWorld peer, JR Raphael, had to say about the HTC EVO smartphone a couple months ago. Raphael stated that the EVO "boasts a 4.3-inch capacitive touchscreen with HDMI output, dual front- and back-facing cameras, and a superspeedy 1GHz Snapdragon processor." 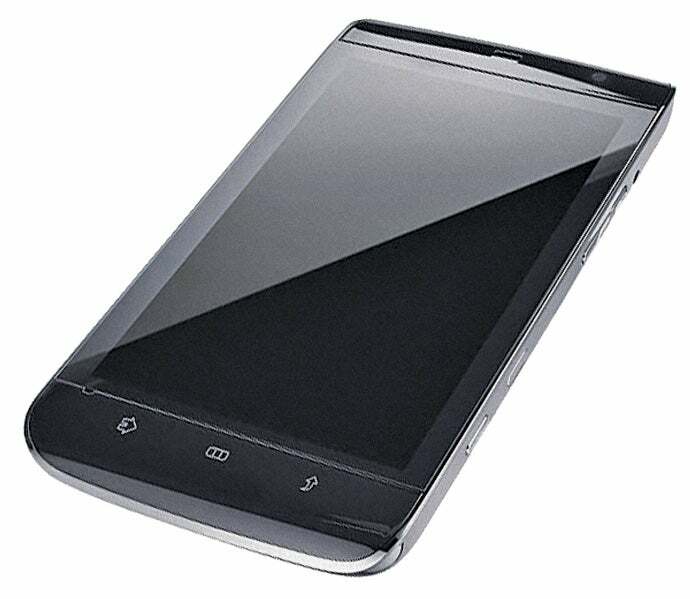 The fact that the Streak tablet device can also "double" as a phone, and is only incrementally larger than the current generation of smartphones, such as the HTC EVO, or the HTC HD2, makes it difficult to differentiate it from a smartphone. How, exactly, is the Dell Streak any more an iPad-competing tablet device than the Motorola Droid, or the Google Nexus One? To be fair, the Apple iPad is also built on hardware architecture closer to a smartphone than a notebook, and it runs the iPhone mobile OS rather than a desktop OS like Mac OS X. So, it is understandable that the lines get blurry in some areas. But, there still has to be a line, and in my opinion the Dell Streak sits firmly on the smartphone side of it. Accepting Dell's assertion that the Streak is a tablet device, though, let's take a closer look at how the Android-based Streak compares against the iPad. From a hardware perspective, the Streak has front and rear-facing cameras. The rear-facing camera is a 5 megapixel camera with autofocus and a dual-LED flash. The front-facing camera is a VGA-quality camera that can be used for video conferencing from the Streak. The Streak also offers expandable storage capacity with an SD memory card slot capable of accepting up to 32Gb cards. Business professionals will appreciate the ability to store more data, or to easily transfer data to or from the Streak using SD memory cards. Business professionals will also find value in the removable battery. Apple has made a point of designing the iPad with exceptional battery life, but it will still run out eventually. With the Streak, a second fully-charged battery could be carried as a standby and swapped out if necessary when the battery runs down. Arguably, the biggest advantage that the Streak has over the iPad as a tablet for business professionals is the operating system. The iPhone OS is a proprietary, tightly-controlled platform, while Android is an open source OS. There are pros and cons to each approach, but for IT administrators and business professionals the pros heavily favor the openness of Android. Android has tremendous potential for providing the foundation for a formidable iPad competitor, and the Dell Streak has impressive hardware specs which--if you ignore the diminutive display--also compete favorably with the iPad. Unfortunately, I am still left feeling like the Streak is a smartphone, and not a tablet. Dell is also rumored to be working on a larger tablet dubbed the Looking Glass. With a seven inch display, the Looking Glass is roughly equivalent to the specs that have been leaked for the HP Slate, and a more clearly a tablet than a smartphone.